Greetings from Ban Asbestos Network of India (BANI) and ToxicsWatch Alliance (TWA)! This is to draw your urgent attention towards the role of Montreal businessman, Mr Baljit S. Chadha who has exported chrysotile asbestos, a well known carcinogen from Québec to India and other Asian countries for the past 16 years. Mr Chadha is in the process of opening new asbestos mines in Québec to export huge quantities of chrysotile asbestos to countries like India. We seek your attention towards what Dr Ivan Ivanov, the team leader of occupational health at the WHO Department of Public Health and Environment, stated in the context of Mr. Chadha’s lobbying to promote asbestos as safe even as he seeks to reopen the largely unused Mine Jeffrey in the town of Asbestos. 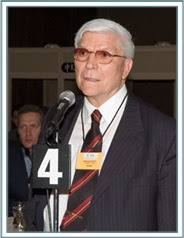 Dr Ivanov categorically said, “There is no safe threshold of exposure to all forms of asbestos”. This was published in Globe and Mail on October 17, 2011 stating “WHO rebukes would-be Quebec asbestos magnate”. Unmindful of such outrageous track record, we are saddened to note the Asia Pacific Foundation of Canada (APFC) appointed Mr. Chadha as its Distinguished Fellow in October 2009. It is quite disturbing that despite such acts against humanity, you find him "Honourable". We visited your website. We were happy to note that APFC is grappling with questions like: "Who is responsible for these asbestos-related diseases?" 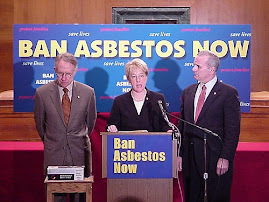 We submit that asbestos companies that have become more powerful than the national governments are responsible for asbestos-related diseases. It is the joint responsibility of all human rights loving governments to protect human beings from the hazards of Canadian asbestos. Indian Environment Ministry’s 19 page Vision Statement on Environment and Human Health (Para 4.3.1) on page 12 which reads: “Alternatives to asbestos may be used to the extent possible and use of asbestos may be phased out”. This is available on Ministry’s website. We wish to inform you that India's Kerala Human Rights Commission (KHRC) has recommended ban on use of asbestos roofs for schools and hospitals. The KHRC and its chairperson Justice N Dhinakar has ruled that exposing Indians to asbestos is a human rights violation. 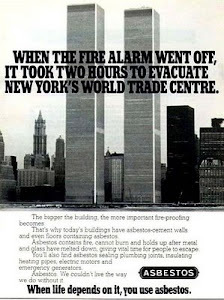 This paves the way for the eventual complete ban on asbestos and its products. We draw your attention towards the order dated January 31, 2009 of KHRC where it ruled that the government should take steps to phase out asbestos roofing from all schools in the state. The commission has directed the state government to replace the asbestos roofs of those school buildings under the government control with country tiles in a phased manner. The government has been directed to initiate measures to ensure that asbestos roofs are replaced with country tiles within a fixed time-frame in the case of schools that are run under the private managements. The state government has been directed to make sure that no new school begins functioning with asbestos roofing in the future. The petition submitted to the commission complained that roofing school buildings with asbestos were hazardous to the health of children. Does APFC consider it safer for human beings like Mr Mr Chadha? We wish to know whether you are with Mr Chadha or with the present and future victims of asbestos? We submit that it brings bad name to APFC if it continues to associate itself with Mr Chadha who has been disregarding overwhelming scientific evidence against use of chrysotile asbestos which represents 95% of all the asbestos every used in the world and is 100% of the global asbestos trade. We submit that World Health Organization (WHO) seeks elimination of use of chrysotile asbestos to prevent incurable and fatal lung diseases contrary to Mr. Chadha’s misplaced claims. According to WHO more than 107,000 people die each year from asbestos-related disease. We draw your attention towards the call of Canadian Medical Association, the Canadian Cancer Society, trade unionists, environmental and public health groups besides groups from India to ban production, trade, manufacturing and use of the killer fibers of chrysotile asbestos. It must be noted that chrysotile asbestos is the “perfect carcinogen” as it acts as both a promoter and initiator of cancer. 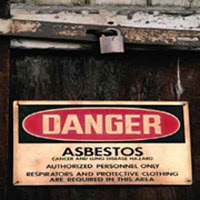 The exposure to asbestos has been linked to several diseases including asbestosis, lung cancer and mesothelioma. At the recent conference of the UN Rotterdam Convention in Geneva, the Harper government single-handedly prevented asbestos from being put on the Convention’s list of hazardous substances. We urge you take cognizance of the newly released documents reveal that back in 2006 the Canadian government had rejected advice from Health Canada that asbestos be added to the UN list of hazardous substances. It is high time APFC advised Canadian government to pay heed to advice from Health Canada to act against a hazardous substance due to which billions of dollars are being spent over the next 20 years to remove asbestos from the Canadian Parliament Buildings because it’s a cancer-causing substance. 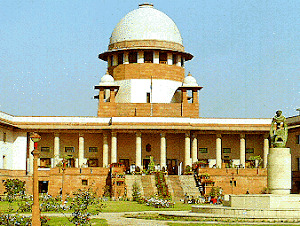 We submit that Supreme Court of India too has taken note of the fact that Canada mines and ships the majority of its asbestos to countries like India ignoring sharp increase in mortality and morbidity at present and in the decades ahead. We submit that APFC ought to consider its influence over http://www.blogger.com/img/blank.gifMr Chadha if any to persuade him to stop promoting production and trade in chrysotile asbestos, if he fails to act, we earnestly request you to disassociate APFC from Mr Chadha as it brings the Foundation into disrepute. We also urge you to take note of the (NHRC), New Delhi that refers to "Banning use of white asbestos" (Case No.2951/30/0/2011) on page no. 5. NHRC took cognizance of how although the Government of India has technically banned the mining of all forms of asbestos including white asbestos (chrysotile asbestos) but it has allowed its import from countries which do not let it be used domestically referring to Canada. The NHRC has issued notices to the Secretaries of the Indian Ministries of Chemical & Fertilizers, Environment & Forest, Health & Family Welfare, Industry & Commerce, and Labour and to the Chief Secretaries of all States and Union Territories in India. This illustrates that Mr Chadha's proposal to re-open up the mines is against basic human rights. Therefore, we appeal to you recognise how production, trade, manufacture and use in chrysotile asbestos constitutes violation of the human rights of present and future generations and to ensure that Mr Chadha desists from acting in a manner that would make him a merchant of death and a butcher from Montreal . We will be happy to share more information to facilitate your decision to safeguard the reputation of APFC and the lives of workers and citizens in India in particular and other asbestos consuming countries in general.